Many people avoid the relatively straightforward process of having at least a simple will put together, because it involves thinking about their death. However, the benefits of just a small amount of estate planning can be instrumental regarding your care in case of tragic injury or illness and the passing of your estate to family and friends upon death. First and foremost, who would you like to receive a portion of your estate upon your death? Are there specific terms governing who should get a portion of your estate, or specific items you would like the money to go towards? Are you interested in leaving anything to a charity or charitable organization? Do you have specific wishes for your burial and/disposition of your remains? Consider whether you would like to be cremated, or buried. Would you like to have your ashes spread or kept by family? Is a formal or religious memorial service appropriate, or maybe an informal gathering of family and friends celebrating your life? If you have children, who will care for them? Who will make sure the terms of your Will are honored and carried out? Have you contacted the people you expect to fulfill tasks for you after death to let them know of your decision? As with any substantial life change, a divorce can be a source of considerable stress and anxiety. Taking a little time to learn about the process can help alleviate the fear of the unknown. Compile documentation of the extent of the marital property, including motor vehicles, bank accounts, real estate, retirement benefits and life insurance, and outstanding debts. Be mindful of all electronic communications, such as email, online social networking, and text messages. Operate as though this information will be seen by a judge. Do not enter agreements concerning your home or your children, until thoroughly discussing this decision with an attorney. Many attorneys offer free consultations, us included. Make sure to meet with an attorney before taking your first steps in a divorce. A little pre-planning can be hugely influential later on. Do not sign any documents from your spouse or their attorney unless you are absolutely sure you understand what you are signing. Many documents appear ‘boiler-plate’, but may have been edited. To protect yourself, it is important to consult with an attorney, regardless of your level of comfort with the document, before signing. Do not fall into the trap of the ‘quick’ divorce. This does not mean that all divorces have to be contentious and drawn out. In fact, with the assistance of an experienced attorney, many divorces can be completed quickly, but with a comprehensive and well thought out final court order. However, many people mistakenly agree to important issues, or simply fail to address them, in order to ‘get this over with’. After which, they often find themselves dealing with the ramifications of that decision for years to come. Like in just about every other profession, there are good attorneys and bad attorneys. However, a majority of attorneys are dedicated to their work and their clients and committed to helping you through whatever issue caused you to seek the assistance of an attorney. Make sure the attorney is familiar with the county and court in which your case will be handled. Find out whether the attorney you meet with is actually the attorney who will work the case. It is important not just to trust the attorney, but also to feel as though you can be candid discussing your issues. An attorney can have a relatively brief, but substantial impact in your life. You should be able to work together. Ask how your attorney bills for their time and how your fee agreement works. Many times potential clients are dismayed when an attorney states an unfavorable likely outcome, but an attorney who can be straightforward with their client can save the client time and money. This does not mean the attorney will not fight zealously for your goals, but rather as a team you can decide where to commit limited resources to achieve the best possible outcome. 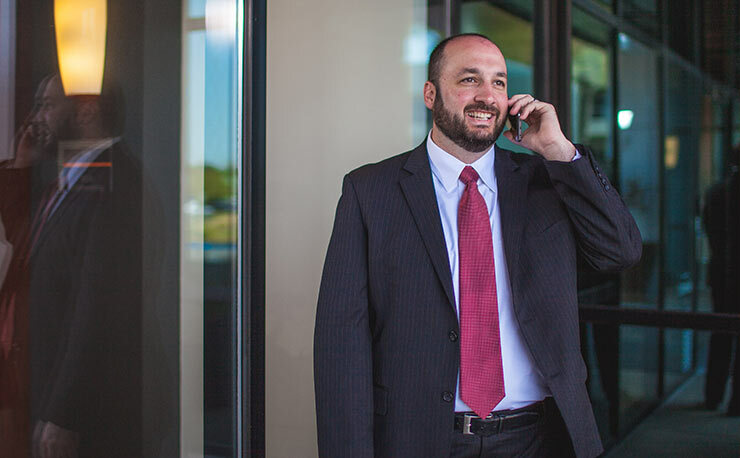 Your attorney will be your spokesperson throughout your case, you want to feel comfortable that your attorney actually listens  to you and can articulate your stance persuasively.